Hay House Inc., 9781401942403, 192pp. "An outstanding and inspirational story that will provide its readers with hope and renew their faith in God and mankind. Lillie’s story will bring tears to your eyes and warm your heart . . . I could not put the book down." — Kenneth T. McCabe, Special Agent in Charge, Federal Bureau of Investigation (Retired); Commissioner, Pennsylvania Gaming Commission Board (Retired) Former law enforcement professional Lillie Leonardi has always lived with her feet planted in two separate worlds—the metaphysical and the physical. 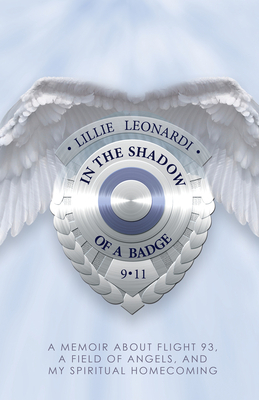 In the Shadow of a Badge, her previously self-published spiritual memoir, takes you on a dramatic journey of what happens when Leonardi’s two very distinct realities become dangerously intertwined. During her work at the crash site of Flight 93 in Shanksville, Pennsylvania, surrounding the fateful events of September 11, 2001, Leonardi is forced to confront her connection to the divine—something she has struggled with since her youth. Her gripping personal account of the 12 days she spent acting as an FBI liaison between the law enforcement and social service agencies carries you into a world that combines the factual and logistical with the angelic and mystical. After witnessing what she describes as a "field of angels" during her first minutes at the crash site, Leonardi must finally reconcile the opposing sides of her life. We walk with her through the diagnosis of post-traumatic stress disorder, experience the guilt and fear that grip her, and witness the remarkable transformation of her soul as she discovers that forgiveness, of self and others, can be the best remedy. As an inspiring example of what it really means to be called to service, Leonardi shows that it’s never too late to find your spiritual path and life’s purpose.